Sometimes I get tired of my own BS, don’t you? A couple of weeks ago, I was having a really crappy day. No reason. I even knew it was all in my head, and that only made things worse. 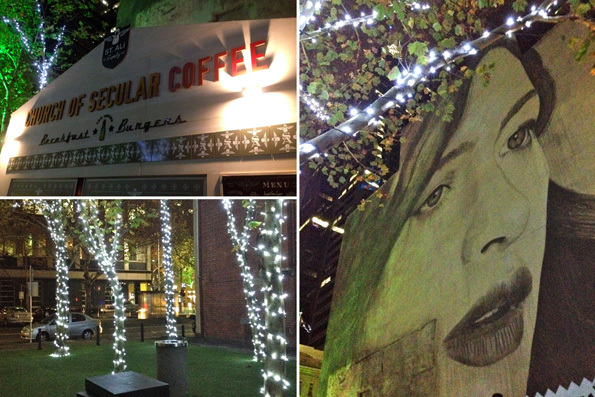 It just was – not so much the Sunday blues as a Dark and Stormy gloom fest. Nothing could snap me out of it – not even the final season of Weeds! 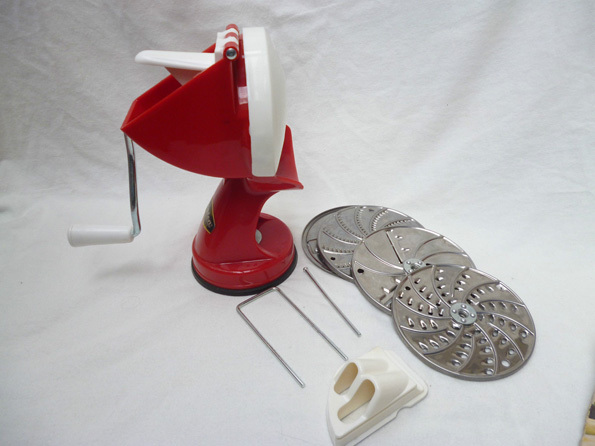 Ever since I left home, I’ve moaned over the loss of Mum’s mouli shredder. I’m not a fan of electric appliances. They’re heavy and expensive and annoying to assemble. And they take the tactile fun out of handling food. I bought this Italian ‘Moplen’ instead of the French ‘Mouli’. I’m not sure why – it looked less used and the blades were all shiny. Which probably should have told me something. It has a bean slicer! Oh, the joy of not having to slice beans one at a time anymore. Well, Berlin Bar, to be exact – two rooms divided into East and West, with charming French waiters and confusing paintings of austere looking nuns on the wall. There was a certain glow to Melbourne-town after that, the kind that makes you glad you’re alive not the designated driver. You know how when you dread a task, and put it off hoping it will go away, it turns into Godzilla?? That’s what the next books in the series had become, as I dreaded the seemingly immense task of getting Pepi’s pictures ready for publication. Pepi learns to escape and terrorise the neighbourhood. Maybe you’re not like me. …to the fact we’re all going to die hungry and penniless. But if you are, then we all need to get a grip. Or have a good cry. Or both. I stumbled onto this ‘anti-folk, sadcore’ band because an American twitter buddy asked me to tell them what I know of the future (believe it or not, in Australia, we are ahead of almost all of you – in time, at least!). The music is not so much sad, as making a joke of our sadness. And that makes me immeasurably happy. What little absurd things make you happy? Give me a glimpse into your day, week. Hell, give me anything! Hahaha okay,WHAT is that thing on #1? I’m so lost in the kitchen. And you slice beans?! What is happening. 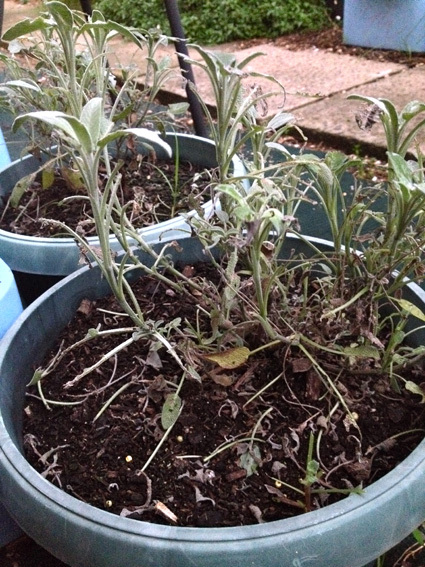 I had some evil caterpillar infiltrate my house and decimate ALL of my sage, cilantro, and basil. It looked pretty much exactly like that, actually…..
I’m glad you’re back from the dark. I know how that works… it’s important to make something in the light that can help you find your way back. Thanks for a timely post, Alarna. Crywank is just the band I needed to listen to on a long commute across Canada next week. Those veggie pasties look delicious they would cheer anyone up, and I love the drawings of Pepi. Spending time with a dog always cheers me up, I don’t have one but our neighbors fence is low, sometimes when I’m sad I go hang with the neighbors dog, he cheers me up every time. About a week ago I finished the first draft of the novel I’ve been working on. And it’s horrible, but I can see that it’ll be good, and how to make it so. Is that an absurd little thing? It makes me awfully happy! Also, today I bought a beautiful old copy of The Rubaiyat of Omar Khayyam with a soft leather cover unlike any I’ve seen before. AND in the same Op Shop another book — can’t remember its name — I saw it in a library I don’t belong to a month ago, photographed it to remind me to read it one day, and there it was today, jumping off the shelf into my arms for $2. AND, when I go to bed tonight, I have just 20 pages to read to finish Alice Close Your Eyes. I could have finished last night, but decided to save them up till tonight instead. I even walked on a beach today, with a good woman no less. Life is good. Oh, Mr Pants! I’m so happy for you that you finished draft 1. That’s not a little thing, that’s a huge Mt Everest thing…You’re at the top. Now you can figure the terrain! I think we need those down moments to fully appreciate the up moments. Because, when I consider how rotten the world can be, my up moments are damn wonderful. I know they are for you, too! I’m the same with kitchen gadgets, but it’s more the cleaning of them after use that I find a pain, when you add that to the set up time, any time-saving benefits are lost! I always like the idea of them though. Often the little pleasures make all the difference. I always think that if you had everything you wanted all the time, and everything went really well all the time, then where would you find those little moments of pleasure? Like yesterday I managed to easily find a particular coffee in the supermarket that I had tried at a friend’s house a few days before and loved, and thought would be difficult to find, and I was so excited when I found it! (I have a cup of it right now while I’m typing this) – but if I already always had loads of that coffee in my house, then it would lose its pleasure. Am I making any sense, or am I just rambling now? A friend recommended my book, and because of that we came to find out that there was only one copy left at our local Barnes & Noble. Of course, that probably means they didn’t order that many in the first place, but I decided to think in terms of “yay! sold them all!” Sort of a glass half-full thing. Was that a glass half full of champagne?? That’s neither little, nor absurd. Take those moments and go wild, Averil. People are reading. YAY! I find that little things are more likely to make me happy than big things. I just went on a long bike ride with my boys. That’s a big, happy thing, and it’s easy for me to overthink and not enjoy it enough because it gets me to thinking about how fast they are growing and how I won’t always be able to protect them from the world. Little, happy things are pretty damn great, though. Like writing this note to my favorite Aussie. Happy thing. Your little happy is my BIG happy, kind man! Don’t think about the passage of time. Do Not. Focus on the birds flying overhead, and the sun at your back, and the boys enjoying the moment with their Dad, and know that is a memory they will treasure! Those cocktails in Berlin look fabulous!!! Slurrrrrrrp! And I’m loving getting to know Pepi! I checked out the link listing your other books and HOW CUTE IS HE??? Little adorable rascal. Reminds me of my older brother, Pepe – except that Pepe is not little or adorable but is definitely a rascal! If my gloomy hadn’t lifted, it certainly would have with your comment 🙂 Thank you for pointing out the gaps in my assumption that everyone knows what slicing beans means!!! Maybe it’s an Aussie thing…. I’m talking green beans, slivered into about 1/8th inch thick diagonal slices! My quick version of that is to slice the bean in half lengthways, and cut that into approx 1.5 inch bits. Either way, a pain! What the world needs now is bean slicers. Took advantage of my blues-for-no-reason this morning to clean the toilets and sinks. A stinky job for a stinky mood. Crywank? Ha ha! Being of the folk generation myself, glad to have lived long enough to listen to anti-folk. The music world is now balanced and in alignment. Alarna I love your artwork and the fact you like retro items, I adore old scales, don’t ask me why I just do. Sounds like a busy week to me and your illustrations are divine. There is nothing better than finding something old and cool that is useful too. 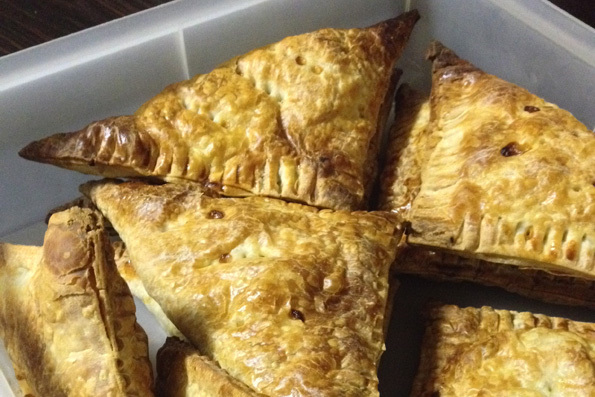 Alarna, your vegetable pasties look amazing! I really want to go to this Berlin Bar. I love the drawings of Pepi, just beautiful. Little things that make me happy: celebrating my birthday, winning a book, winning free tickets to go see a movie, helping a friend. I thought of you last week-end, some of my roses are back! Alarna, I’m such a hopeless gardener too and I can’t answer your question! I don’t know when is rose season! But, my roses are kind of taking care of themselves with a bit of cut from time to time! I was actually quite surprised when I saw these two roses. But, the weather is been quite nice in the past few days so maybe that has something to do with it. Holy hell, I love pasties! I was recently introduced to this phenomenon when we moved to Portland. A joint called “Pacific Pies” is literally attached to our apartment building. Dessert pies that make you drool…yes. Pasties, which are now a diet staple…hell, yes! That’s all I got. A profession of love for all things related to pies. Cool? Lucky break, Alarna, you don’t have to slice beans anymore! Haha! 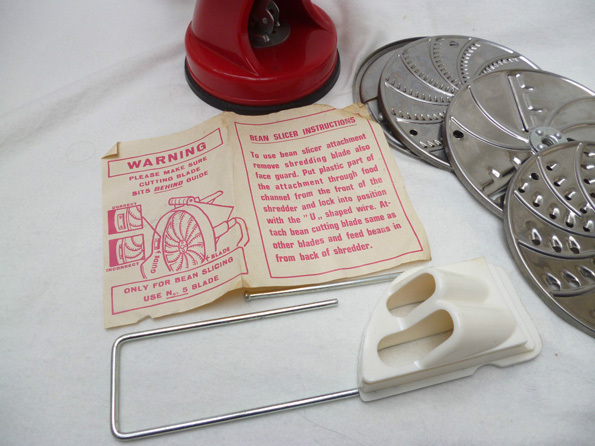 Who the heck invented a bean slicer? I love the new Pepi pics! Soooooo cute! I had one of those bad days a few days ago, but it wasn’t all in my head. Nope, it was one of those for real stupid bad days! Glad it’s behind me now! Love the drawings of Pepi. So vintage-y and cute. LOVE. 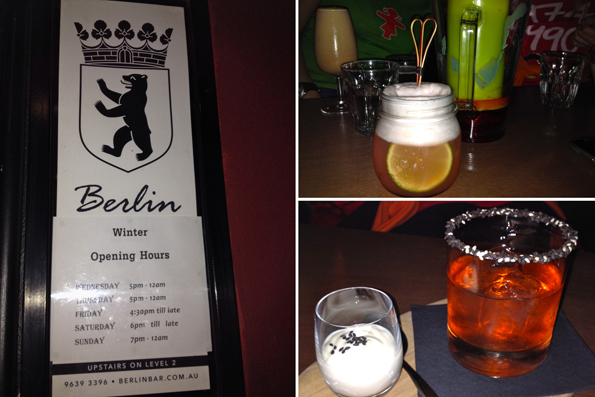 Also, I need Berlin drinks STAT. Those look sooooo yummy! And while I’m drinking I need some of those pastie thingies that look amazing. They remind me of sambussa, which is a lentil/veggie pastie thing that I order from this Ethiopian restaurant I frequent. Mmm, lentil veggie Ethiopian pastie thingy. Guaranteed to be yum. Animals always get it, and somehow transmit sympathy. Where all else fails, furrrrr!